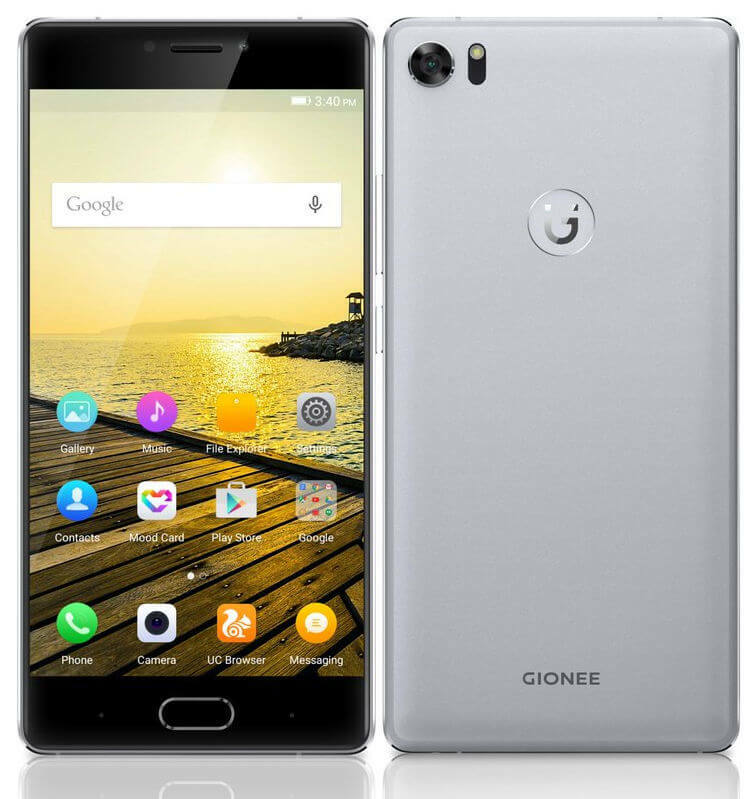 In its first stint at MWC 2016, Barcelona, Gionee unveiled its flagship device, the Gionee S8. At the event, Gionee also unleashed its new logo, which comes with a tagline that reads, “Make Smile.” The Gionee S8 will be retailing at EUR 449 (approx. Rs. 34,000) and will be up for purchase by the end of March in Silver, Gold, and Rose Gold color options. Coming on to the specifications, the device comes with 3D Touch (like the Apple iPhone 6s? Yes!). The functionality of the pressure-sensitive 5.5-inch full-HD (1080×1920 pixels) AMOLED display used on the device is similar to the iPhone 6s. Gionee claimed that the device can sense up to 3 levels of force, which includes a touch to select an app, tap to preview app content, and press to make the app run. The smartphone features 74.9 percent of screen-to-body ratio, and is powered by an octa-core MediaTek Helio P10 (MT6755) chipset paired with 4GB of RAM. It runs Android 6.0 Marshmallow with Amigo OS 3.2 on top, and boasts fingerprint sensor, which is integrated into the home button. In terms of storage, the device comes with 64GB of internal storage, which can be further increased up to 128GB via microSD card. Moreover, Gionee has introduced a host of new features with the S8 smartphone. These new features are — dual WhatsApp support for each SIM, floating window feature to watch video while texting on WhatsApp or surfing on the browser. The company has promised an update to Amigo OS 4.0 in June for the device. The device is backed by a 3000mAh battery, and 4G connectivity that supports dual 4G, FDD, and TDD, 7 modes and 14 bands, Gionee touts these bands to be ideal for global roaming. Other connectivity options include Hybrid dual-SIM, 4G LTE with VoLTE, Wi-Fi 802.11 ac/a/b/g/n, Bluetooth 4.1, and GPS. In terms of camera, the device sports 16-megapixel primary camera bearing f/1.8 aperture, PDAF, laser autofocus, RWB technology, and LED flash. Gionee claims that the camera app has been overhauled for the S8 and it now comes equipped with text recognition (OCR) support (English and Chinese) and beauty effects for videos. The device comes with an 8-megapixel front-facing camera. On the camera front, the smartphone sports a 16-megapixel rear camera with f/1.8 aperture, PDAF, laser autofocus, and LED flash. The company claimed that the camera app on the S8 has been redesigned and comes with features such as text recognition (OCR) support (English and Chinese); the video also comes with beauty effects; time lapse and Slow-mo. There is an 8-megapixel front camera on board as well. The Helio P10 is good. It’s faster than MT6752, but slower than the Helio x10. But Gionee, Oppo and Vivo are chinese brands known for overpricing their products. But Oppo and Vivo make some great quality phones. Gionee phones are crap. First and last thing this is Chinese brand and with MediaTek and 34000rs hell nooooo!! !